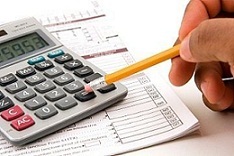 Income Tax rates for assessment year 2013-14 will be applicable to the financial year ending 31st march 2013 i.e. income generated between 1st of April 2012 to 31st march 2013. Different slab rates are mentioned in IT act for different categories of persons and based on this a person is taxable under IT act. Based on the age group tax rates are specifically defined. You are required to calculated by looking into the options that you fits in and then based on your total income for the financial year. We do not have any separate tax rates for a women assessee. Following slab rates are applicable to an individual who is below the age of 60 years. Tax rates for AY 2015-2016 and 2016-17 has been increased to Rs 250000 for individuals below 60 years of age and Rs 300000 for individuals who are 60 years and below 80 years of age.